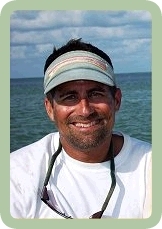 Whether you choose to sight fish for tailing bonefish and redfish or giant tarpon, I assure you an enjoyable, interesting and exciting day in the Florida Keys. Though I primarily sight fish for these gamefish, we can fish for easier targets as well if your skills are not as high as your expectations. For the novice fisherman, I'll provide friendly fly fishing or light tackle spinning instruction. For the accomplished angler I can help to fine tune your casting skills. Expert? Our game fish should provide quite the thrill and challenge you're looking for. Sight fishing the flats and backcountry waters of Key Largo, Islamorada and the Everglades National Park. Fly fishing and light tackle charters for novice & expert anglers! Specializing in "catch & release" sight fishing the Florida Keys for bonefish, tarpon, redfish and snook on fly or light spin tackle.